Too Much Future is a new work of public art from the Whitney Museum’s #Public Art series. 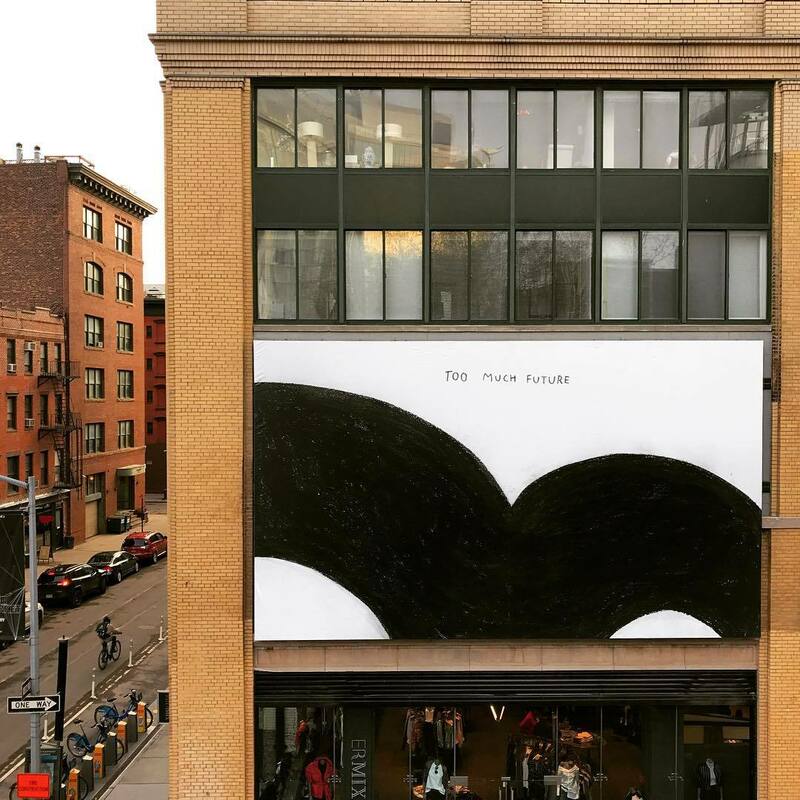 Each piece is installed on the facade of a building across the street from the New York City institution and can also be viewed from the popular High Line. Deaf artist Christine Sun Kim’s work pairs text with a rendering of the sign for “future” in American Sign Language, which generally illustrates the term as a thin line. 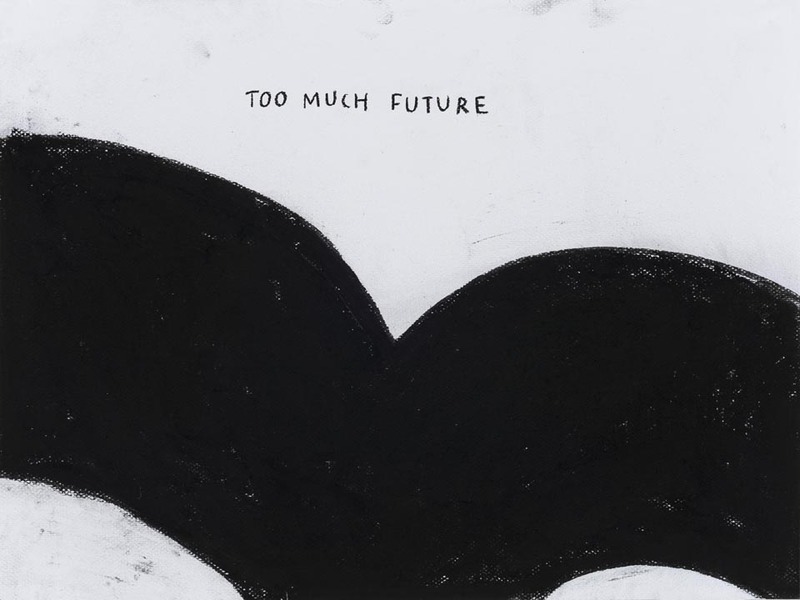 However, here Kim reimagines the concept as a heavy black form, suggesting the weight of the future on today. This entry was posted in Art, Museums, Tourism, USA and tagged High Line, New York City, NYC, Street Art, Whitney Museum. Bookmark the permalink.